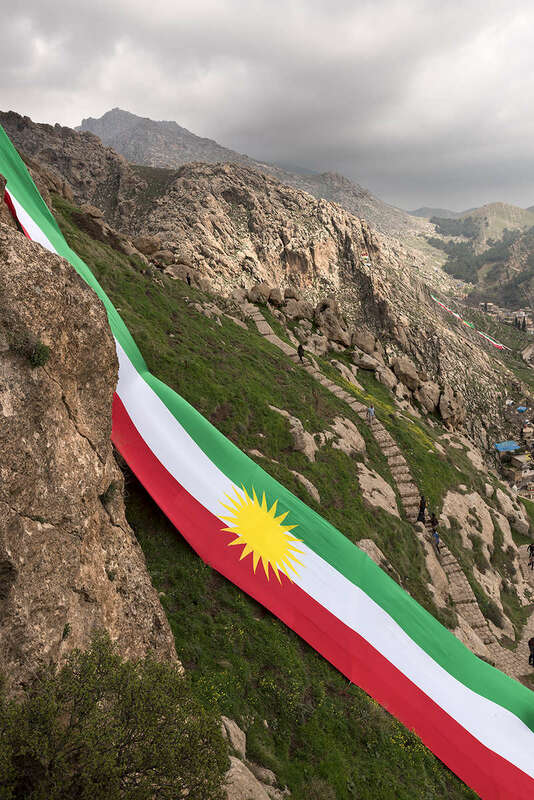 The Kurdish flag draped over the mountains of Akre. On September 25th, 2017 the Kurdistan region of Iraq held a symbolic referendum. They asked if they wanted to be a free people and their own nation. It was a resounding yes. This was immediately met with violence from Baghdad, Iran and Turkey. There was no outside support for an independent nation for the Kurds. This included the United States, whom after years of using the Peshmerga to fight ISIS, now "remained neutral" but whose weapons were used by the Iraqi military to kill Peshmerga soldiers along with Kurdish civilians.